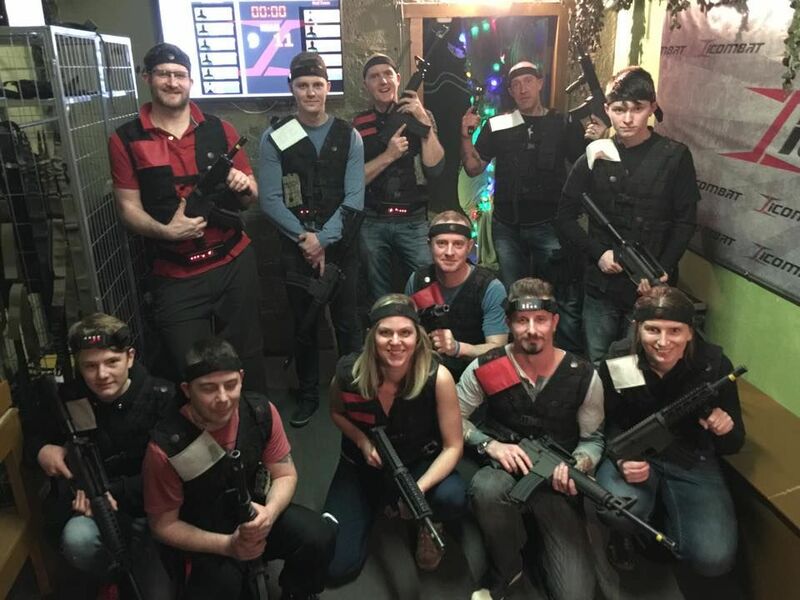 The last time I played I played Laser Tag was as a kid in the early 90’s, so I was in for a few surprises when we went along to ICOMBAT in Bristol recently for a game. 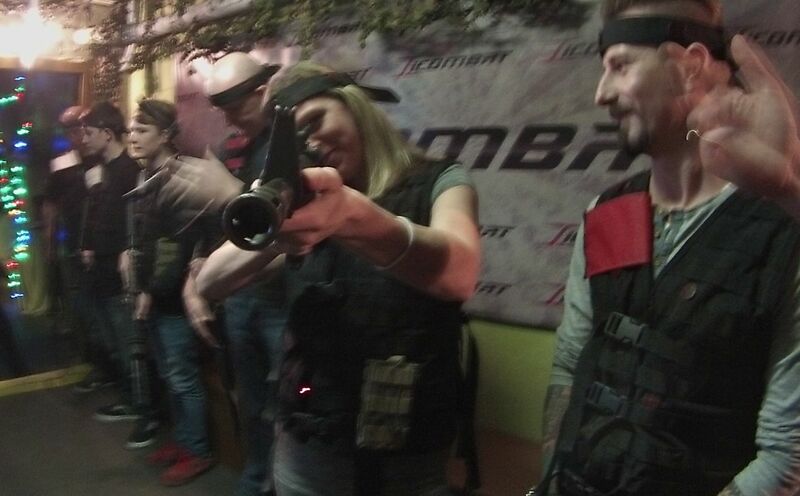 ICOMBAT now offer a Laser Tag game with true replica weapons with full recoil and and shock belt. So I headed down with my lovely wife Vicky and two friends Dave and Alec to go and see if it was as good as it sounds! We had bought a voucher from Amazon for this which entitled us to entry and 150 shots, or for an extra £10 we could get unlimited shots. I was rather trigger happy when Paintballing, so I thought this might be a wise investment. After registration we headed down in to the depths of the building, and to the ammo room and game zone. As soon as you walk in to the ammo or ‘safe zone’, you are instantly drawn towards to the replica weapons all lined up on the walls. They were very realistic. We had a choice of weapons to use including the M16, M4 and a Glock. These guns also have a realistic recoil from the gas cartridge in the smart mags you are issued with. Once we had selected our weapons, I went for a M4, we were kitted up in a vest with sensors on and a flash of colour to identify which team you were in, and a head-band of sensors to register head shots. Finally we were given shock belts with a shock rating of 1-5, which most set to 3 to start, but pumped up to 5 after a while. When you get shot in the game, these give you a shock and you really do feel it! We headed off for our first strategic game that was set by the organisers and the start beeper buzzed to start. The dark game zone then erupted in to gun-fire and we were off. You initially start out being very cautious as the shock pack plays on your mind, and in fairness the first time you get shot, it does give you a shock! It doesn’t hurt but you know all about it. The recoil of the guns is pretty realistic and you soon find yourself acting like armed police officer clearing rooms and taking out the other team, well thats the plan, but they are also trying to take you out, so there is plenty of ducking and diving, fire off a few shots, try and out maneuver them and so on. Really exciting stuff and great when your clearing rooms with your friends. We played about five games which were very varied in the goals and it kept us all on our toes and was full on throughout. The combination of all the kit creates a very realistic and exciting experience. Nearer the end of the games I had my shock belt put up to setting 5 and when someone took me out with a Glock from behind, I noticed the difference! The whole experience was well organised, very realistic, brilliant fun and a great way to spend time with friends. We will be talking about this for a long time to come!